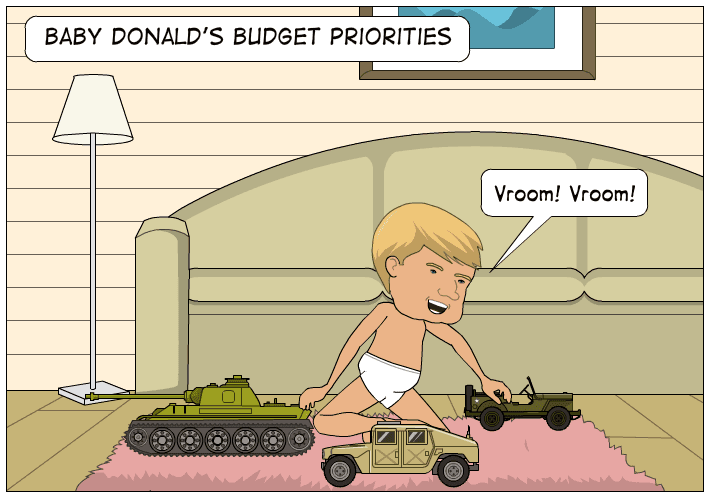 President Trump put forward a dangerous and dishonest “hard power” budget proposal that will leave children and elderly hungry, make our air, water, and soil more polluted, strip away our humanitarian dignity, and strain our diplomatic relations. In return Trump will get a few more military toys for his little hands to play with. But exactly what ideals are we protecting?